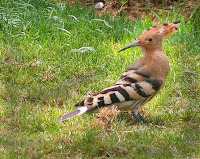 Michael David Lukas’s The Oracle of Stamboul is a costume drama of a book, a fairytale-like story about one Eleanora Cohen, a fictional girl born in 1877, to the accompaniment of omens, including the presence of a flock of hoopoes. Eleanora’s mother dies in childbirth, and her rug merchant father marries her mother’s sister, who prefers that Eleanora learn housework instead of reading. But Eleanora reads, and she follows advice about following one’s heart that she gleans in her favorite book: Eleanora stows away on her father’s voyage to Stamboul, where she becomes a polyglot child prodigy and is invited to advise the sultan on important matters. Publisher HarperCollins calls The Oracle of Stamboul “evocative,” which it is. Lukas describes settings, food, and clothing in intimate detail, making me crave Turkish coffee, pomegranate juice, and fresh flatbread. And his accounts of Eleanora’s love for reading are rather sweet: the girl’s favorite book is The Hourglass, a novel that is, as far I can tell, purely fictional. Though Lukas generally writes consistently in a genial, sometimes old-fashioned style and fully convinced me he’d done his research, I can’t say he convinced me of Eleanora’s role in the history within this historical novel. The book’s plot turns felt predictable – most of them are obvious from the publisher’s description anyway – and character development suffers at the expense of all the vivid settings. Readers who enjoy rich descriptions with a magical flock of birds thrown in will love The Oracle of Stamboul. For my part, I read The Oracle of Stamboul as a book about reading and knowledge rather than a book about history or a talented little girl. I held on to a small detail simply because it’s Russian: early in the book, Eleanora’s father holds up a copy of Alexander Pushkin’s Eugene Onegin to prevent Russian soldiers from pillaging his house. The book, a classic Russian poem-as-novel, functions like a protective icon. Later in the book Eleanora finds solace and advice in books. Her beloved Hourglass is the true oracle of the book, inspiring Eleanora to continue a reading career that progresses to ancient classics, recognize life’s paths and plans, and make decisions. The Oracle of Stamboul stimulates the senses of sight, smell, and taste more than the intellect, and I think the retro language and Eleanora’s flock of birds feel too mannered... but sometimes there’s something to be said for an easy-reading, escapist book that offers the warmth of Stamboul, along with that thick Turkish coffee, in the middle of a cold, snowy Maine winter. Disclosure: I received an advance review copy of The Oracle of Stamboul from publisher HarperCollins. Thank you! Up next: Kazuo Ishiguro’s Remains of the Day. 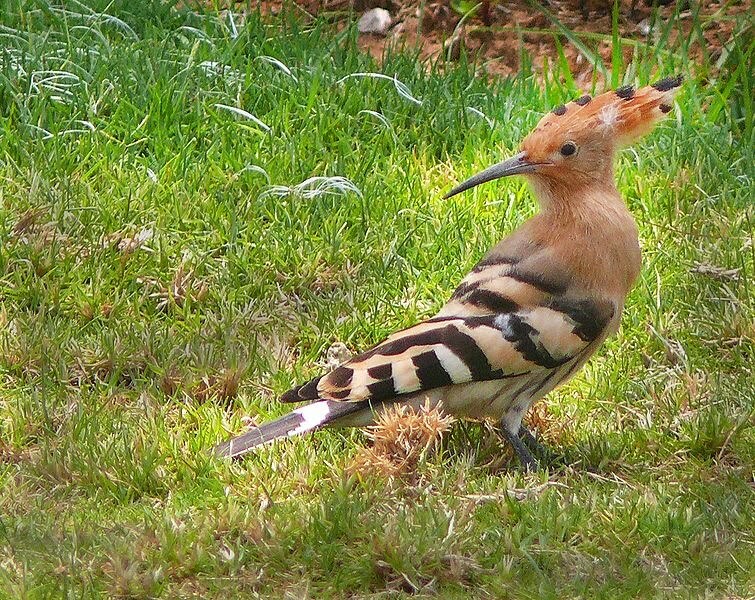 Photo credit: Hoopoe in Israel, portrait from MathKnight and Zachi Evenor, via Wikipedia. I seem to have a habit of calling books “atmospheric” when I damn them with faint praise: “atmospheric” feels like a code word for books with lots of detail and texture but very little story. But Fleur Jaeggy’s Sweet Days of Discipline, an account of boarding school translated by Tim Parks from the Italian I beati anni del castigo, is different. At only 101 pages with lots of white space, Sweet Days of Discipline is just short enough, just long enough, and just elegant enough to feel complete as – here, I’ll say it – an atmospheric portrait of a young woman and her surroundings. Our first-person narrator is a teenage girl sent to school in post-war Switzerland. She has a German roommate because her mother requested it; the narrator disdains the roommate and imagines her meeting dates in her sleep. Sweet Days of Discipline contains all sorts of early warnings that this isn’t a heart-warming tale of high school camaraderie: we learn in the first paragraph that writer Robert Walser walked nearby and died in the snow. On page two, the narrator tells us she remembers only Baudelaire from her study of French literature. I wrote “uh-oh” in the margin. Flowers of evil, indeed: our narrator has girl crushes (or maybe something deeper?) on beautiful, perfect new girls, first Frédérique, later Micheline. What hides behind the perfection? Life at school, the narrator tells us, involves establishing “a façade, a kind of double life” – she even emulates Frédérique’s handwriting. Sweet Days of Discipline contains lots of other creepy little details, like the comparison of boarding school with a harem and reading “a few lines of Novalis about suicide and perfection.” Frédérique is described as a nihilist, and we confirm toward the end of the book that not all is right in her world. Then there’s all that discipline and obedience. The narrator speaks of the pleasure of disappointment and sadness in her life, and wonders if the discipline of religious school, where she was a boarder at the tender age of eight, might have been the best years of her life. She also finds pleasure in obedience… This is a short book, so I’ll leave things at that, though I would love to tell you about the book’s very last sentence. I probably wouldn’t recommend Sweet Days of Discipline to readers who prefer fiction with strong stories and plots, but I think those who enjoy eerie character sketches will love it. Enigmatic somehow works for me here, and Sweet Days of Discipline succeeded where Maile Chapman’s Your Presence Is Requested at Suvanto (previous post) did not. Though both books concern females – not all of them stable – living and interacting in restrictive, closed places, in Parks’s translation, Jaeggy’s writing is spare, wonderfully restrained and, yes, disciplined, giving this novella a poetic beauty as it describes life’s dark corners. Disclaimer: I have discussed literature in translation with New Directions, the publisher, but received Sweet Days of Discipline from a friend in a book trade. Thank you, Daisy, and enjoy the baking! Up Next: Michael David Lukas’s Oracle of Stamboul. Milan Kundera’s The Book of Laughter and Forgetting, translated from the Czech by Michael Henry Heim, left me with such a shoulder shrug and feeling of “whatever” that I think I’ll write more about the experience of reading the book than about the book itself. I loved the very first vignette about airbrushing a political leader out of a photo. But it didn’t even last the first page, though Kundera does mention it again later in the book. Tellingly, that vignette was the only part of the book I remembered from a reading in the late ‘80s or early ‘90s. What I most wish I’d remembered from that first reading is that The Book of Laughter and Forgetting incorporates essayish material, metafiction, eroticism, and absurdity into stories about infidelity, family, politics, and death, creating and connecting (sometimes) variations on themes related to, of course, memory and laughter. I probably didn’t remember that from my reading twenty years because I’ve already nearly forgotten the book after reading it last week. I don’t say this to be mean or snarky: every now and than a book just don’t stay with me at all. Now, I can handle genre blends and bends but I usually lose patience when the author can’t convince me that a book’s disparate elements belong together. Of course tastes and opinions about what does and doesn’t belong together vary greatly, but Kundera failed to convince me that Laughter and Forgetting is more than a rather random ramble through his thoughts. By contrast, Mathias Énard’s Zone (previous post) is much longer and more difficult than Laughter and Forgetting in both form and content, but Énard’s jumpy narrative feels natural and uncontrived to me because it reflects the subject matter. After Énard’s book, which unified itself quite nicely, IMHO, with one long sentence, Kundera’s jumpy self-conscious narrative feels scattershot, contrived, and so unengaging, even smug with its clever comments, that the book barely registered on my emotions (other than petty annoyance) or memory, despite my interest in Czechoslovakia before the collapse of the Soviet bloc. This is funny and apt, though hardly news to me, the person who’s been torturing her friends and family about Russian literature for decades. Thank goodness for the Internet, where I can blog about this stuff and find fellow enthusiasts! I’d most recommend The Book of Laughter and Forgetting to readers who enjoy disjointed books with the feel of oral storytelling, a taste of life in the Eastern Bloc, and an author’s pop philosophy. Up next: Fleur Jaeggy’s Sweet Days of Discipline.